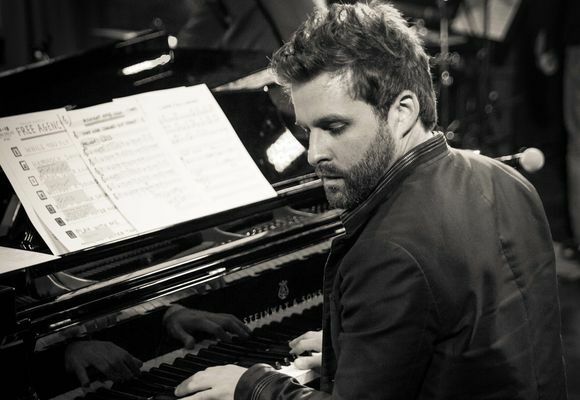 3​1​-year old New York-based pianist and composer Taylor Eigsti started playing the piano when he was 4 years old, was quickly labeled a prodigy, and has since released 7 albums as a leader. Eigsti has had the good fortune of performing, touring or recording with such luminaries as Dave Brubeck, Joshua Redman, Nicholas Payton, Esperanza Spalding, Chris Botti, David Benoit, Christian McBride, Marian McPartland, Red Holloway, James Moody, Chris Potter, Ernestine Anderson, Kurt Rosenwinkel, The Clayton Brothers, Dianne Schuur, Ambrose Akinmusire, Hank Jones, Brubeck Brothers, Sting, and Frederica Von Stade, among many others over the years. Eigsti has travelled internationally quite extensively with his trio and quartet, and also frequently tours with artists such as Julian Lage, Gretchen Parlato, Kendrick Scott Oracle, Chris Botti, Sachal Vasandani, and Eric Harland Voyager. Eigsti's career has involved much global touring, and he has performed at many premiere venues throughout the world, including the Hollywood Bowl, Carnegie Hall, Salle Pleyel, Royal Festival Hall, Vienna Konzerthaus, Olympia Hall, Massey Hall, Davies Symphony Hall, and many top festivals including Montreal Jazz Festival, North Sea Jazz Festival, Singapore Mosaic Music Festival, Monterey Jazz Festival, Stockholm Jazz Festival, Istanbul Jazz Festival, Quito Jazz Festival, Newport Jazz Festival, Chicago Jazz Festival, Toronto Jazz Festival, and many more performances worldwide.